As you begin preparing for your holiday extravaganzas, KFB Insurance reminds you to keep these safety tips in mind. 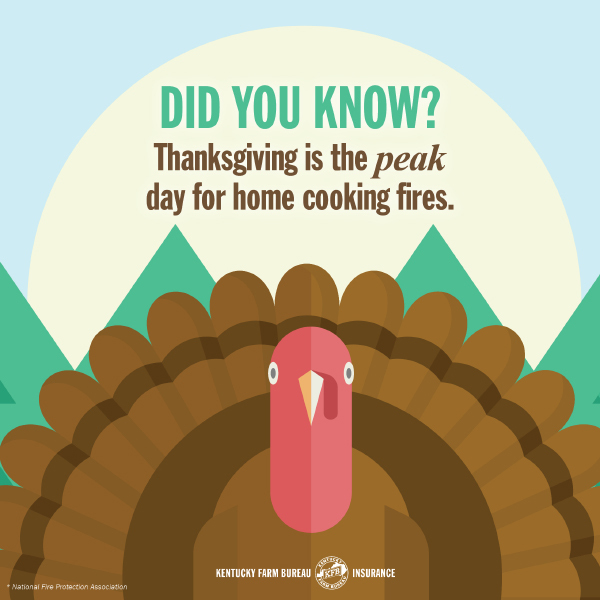 Did you know that Thanksgiving is the peak day for home-cooking fires? Right behind it is Christmas Day and Eve, according to the National Fire Protection Association. The holidays are a time for gathering in our old Kentucky homes with family and friends, and we often find ourselves gathering in the kitchen as laughter and delicious aromas fill the air. With your loved ones in close quarters, it’s very important to keep fire safety in mind when cooking. Check your smoke alarms by pressing the test button and making sure batteries don’t need to be replaced. 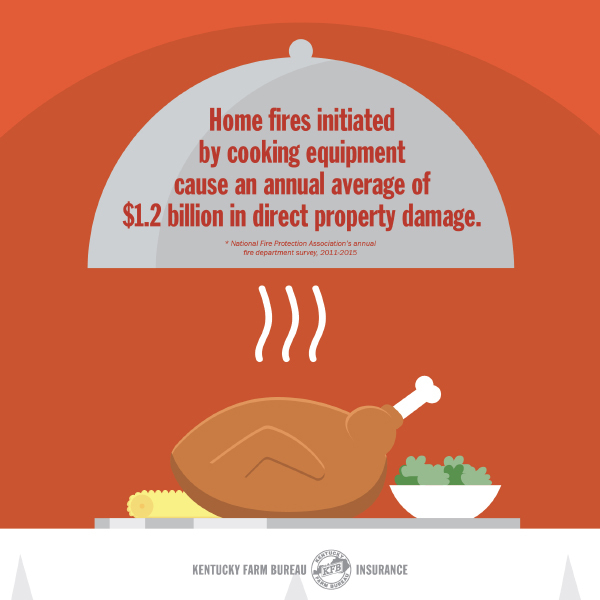 Unattended cooking was the leading contributing factor to cooking fires and deaths in 2015. When cooking on the stovetop or in the oven, always stay in the kitchen to keep an eye on the food. 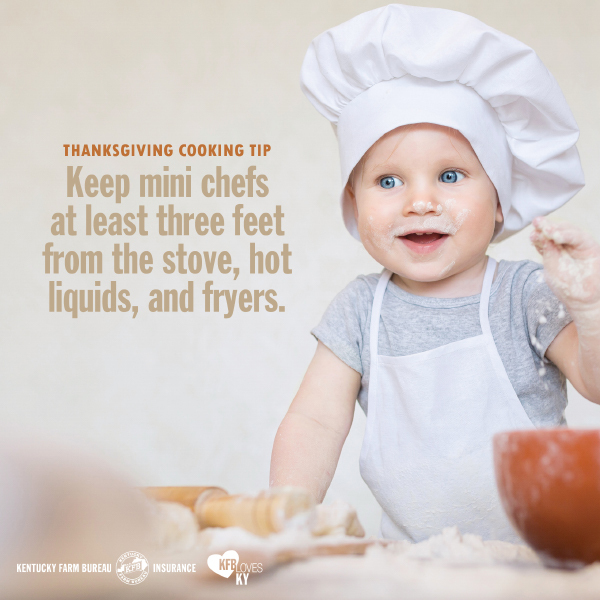 If your family includes small children, be sure to keep them at least three feet away from the stove where hot liquids can spill/splash and cause serious burns. While you’re at it, turn pot and pan handles inwards to keep hot liquids from getting knocked off the stove and spilled. The same goes for knives. Keep sharp objects out of reach of children. If lighting candles around your table or home, keep them clear of anything flammable and stay in the room when lit. Now, we know there are some deep-fried turkey lovers out there! Turkey fryers involve extremely large quantities of hot cooking oil. This method of preparing a turkey is so dangerous that the NFPA specifically discourages it. NFPA urges those who prefer fried turkey to leave the preparation of the dish to professional establishments, such as grocery stores or restaurants. 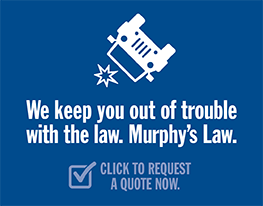 Do not use deep fryers on wooden decks, under patio covers, in garages, or in any kind of enclosed space. Only user fryers outside on sturdy, level surfaces clear of anything that could burn. Wear long, well-insulated cooking gloves to protect your hands and safety goggles to protect your eyes from oil splatter. Keep a fire extinguisher nearby in case of a fire. Never use water to try to extinguish a grease fire. Prior to deep frying your turkey, make sure it’s completely thawed out and dried before being placed in the fryer. The water from frozen turkeys can cause an explosion when it makes contact with the oil in the fryer. Thawing in the refrigerator is the safest option, and turkeys should never be defrosted on the counter top. The National Turkey Foundation recommends that you add 24 hours of thaw time in the refrigerator for every five pounds of turkey weight.